The timeshare resort of Place on the Bay Hotel was built in 1989 and quickly became known as a holiday hot spot along the Camps Bay strip. 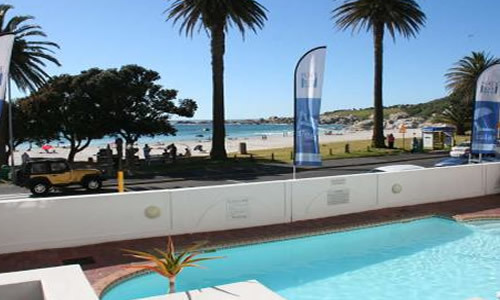 Set in one of Cape Town’s trendiest suburbs this resort offers guests nearby attractions such as wine tasting, skydiving, shopping at the V & A Waterfront and Canal, deep sea fishing, golfing and more. Thrill seekers will enjoy a fun filled day at Ratanga Junction Theme Park. Many opportunities for up close experiences with wildlife are just minutes from The Place on the Bay.